I think it's time to finally say hi and break my radio silence. Also, I would like to wish you all a very late happy New Year. I hope your new year has started out fantastic! I can't believe January is almost over! I've been struggling with lack of inspiration and motivation, and that's the reason why I haven't been updating my blog lately. I have to say, though, that I've been missing you and my little blog. Luckily, my very dear friend Giulia came to London on a working holiday. I always enjoy the time we spend together working on new ideas, brainstorming, cooking and laughing. Isn't that exactly all you need when you are looking for inspiration everywhere, but can't seem to find any? New motivation didn't come easy to me though. I must admit that Juls and P. basically blackmailed me into working on a new projects and posts. I want to thank them for that! Complicated projects are not ideal for times when you get stuck. Just get back to basics. Start adding more, little by little. I'm not an expert on "getting stuck situations", but this worked for me. I decided to get back to basics. 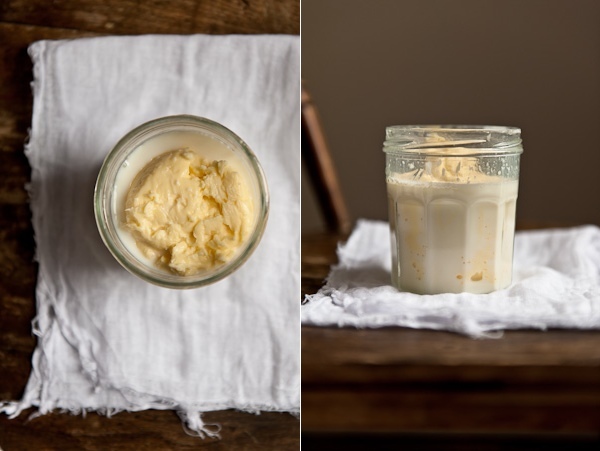 I've been planning on making homemade butter for sooooo long. What ingredients do you always have in your fridge? I usually have eggs, cheese, fresh vegetables and butter in my fridge. 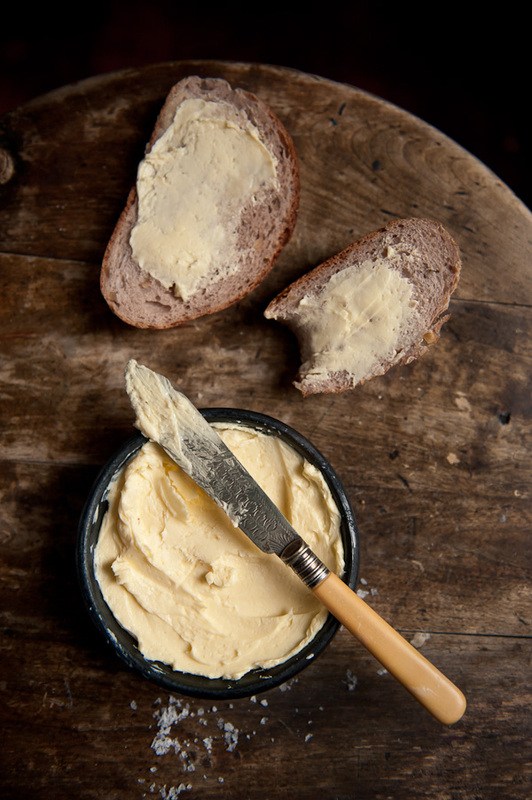 As Julia Child said, "Butter makes everything taste better". 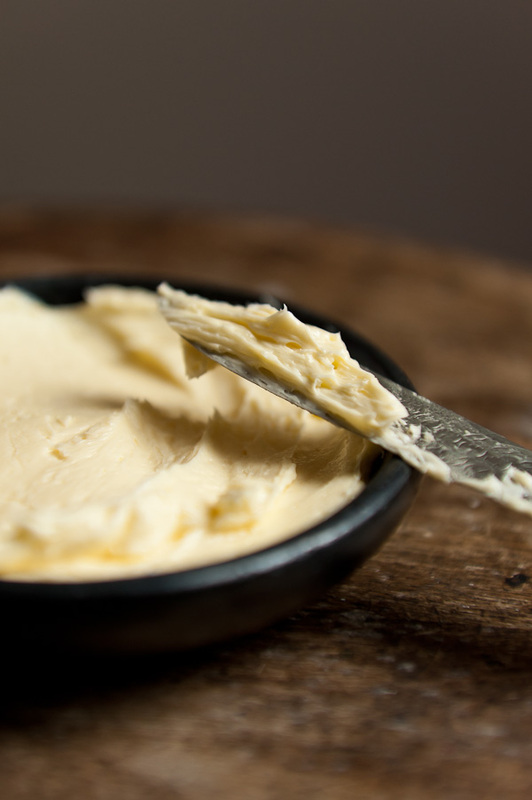 Homemade butter is, however, completely different experience. 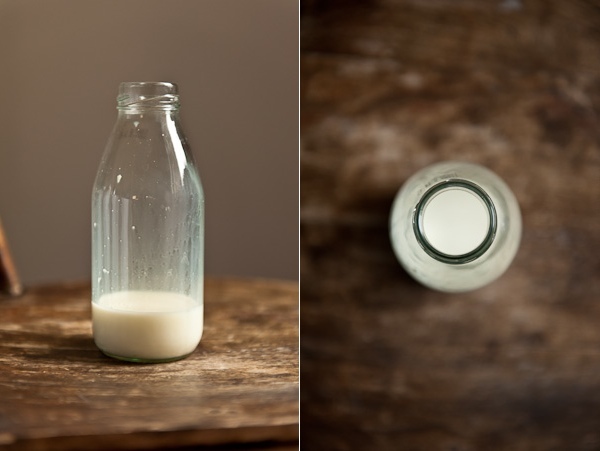 It's so creamy and silky with a hint of Maldon sea salt. Add freshly baked bread and I'm sold! If that's not enough for you, head over to Juls' blog to add just one more ingredient to create an easy sandwich bursting with flavours. 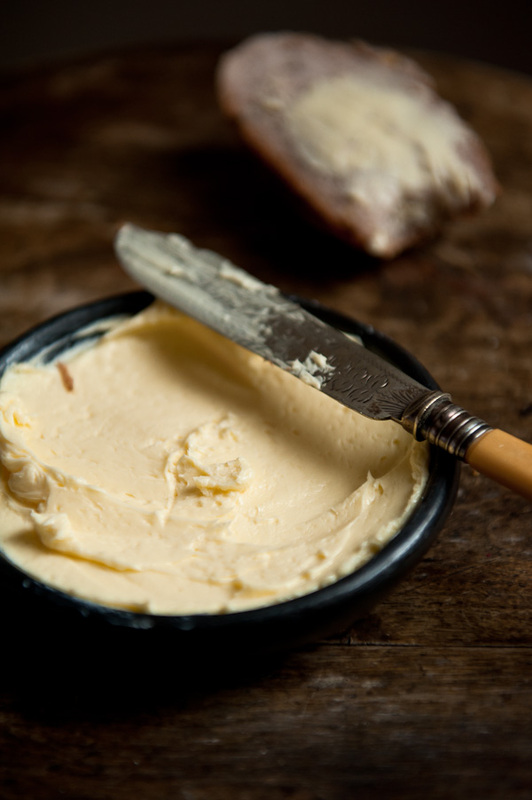 You can very easily prepare butter using your food processor or blender. Using a shaking technique is much more fun and it's a perfect arms workout. I felt like I spent an hour in the gym the next day after making the butter. Somebody could say it's a bit too much of a hassle for butter, but believe me, it is well worth it. 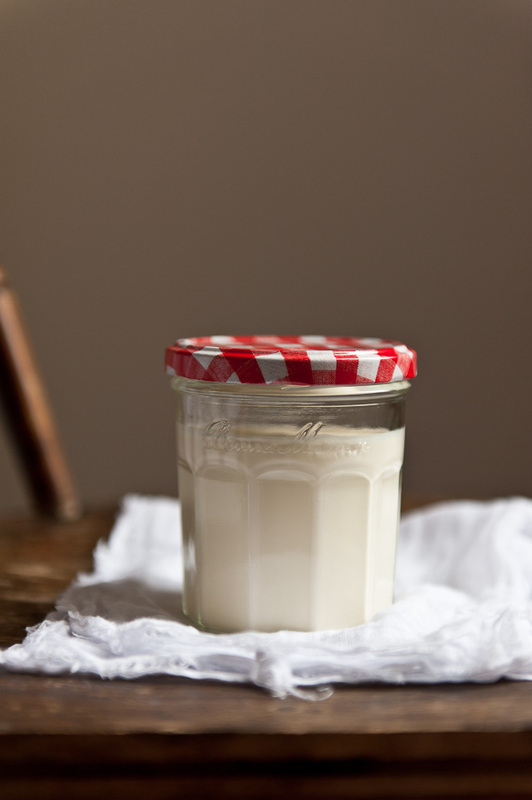 Pour the double cream into a jar. The jar should be at least one third larger than the amount of double cream. Put a lid on, and start shaking the jar. After 2-3 minutes, the cream should be quite thick and nicely whipped. Continue shaking, until the cream starts to pull away from the sides of the glass. At this point it's quite hard to shake the jar, so it's easier and more effective to tap the jar firmly on a table covered with a thick layer of tea towels. Be careful not to brake the jar. 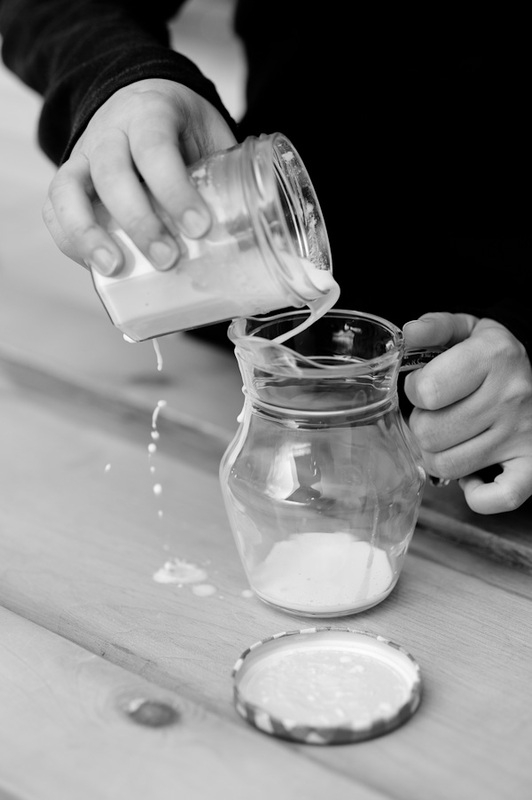 Continue to tap the jar, turning it upside down and back as you go, until the buttermilk starts separating from the butter. Pour the buttermilk into another container (you can use the buttermilk later) and shake the jar a few more times to separate as much of buttermilk as possible. Pour cold water into the jar to wash the butter. Pour off the water. 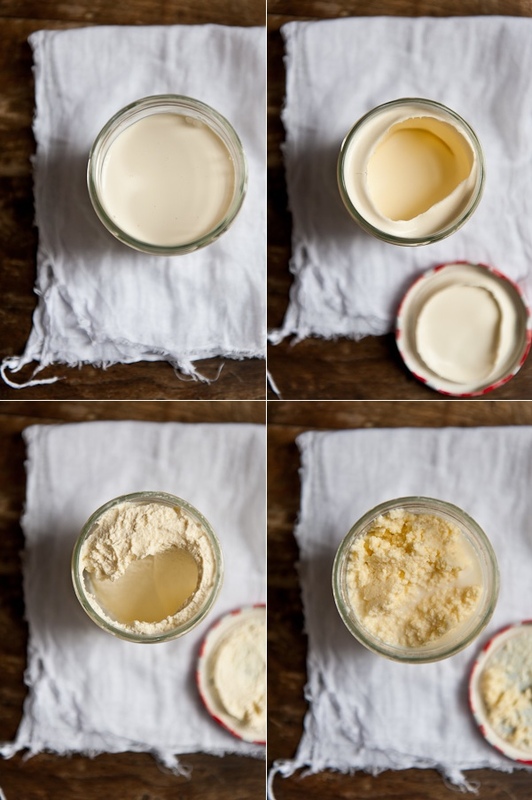 Use a spoon or spatula to squeeze out as much buttermilk out of the butter as possible. Wash again until the water is clear. When the butter is clean, mix in salt to taste and refrigerate. You can also add herbs or garlic if you like.